McALLEN — Eight Rio Grande Valley school districts have campuses in the running for this year’s Blue Ribbon honors along with 13 others across the state, according to an announcement Wednesday from the Texas Education Agency. 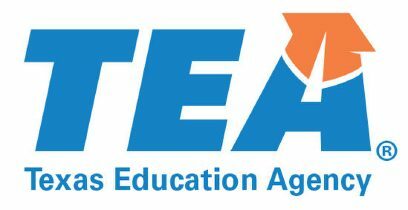 Texas Education Commissioner Mike Morath nominated a total of 11 schools throughout the Valley for the award’s two divisions, Exemplary High- Performing Schools and Exemplary Achievement- Gap- Closing Schools. In the high-performing division, four Valley schools were nominated including two Valley View school district elementary schools, Valley View and Valley View South, as well as La Joya ISD’s Jimmy Carter Early College and Mercedes ISD’s Mercedes Early College. The achievement-gap-closing schools division includes seven schools, two Edinburg school district schools, including Anne L Magee Elementary and Hargill Elementary; two in the Pharr-San Juan-Alamo school district, Carmen Anaya Elementary and Cesar Chavez Elementary; as well as IDEA Mission Academy, Hidalgo school district’s J.C. Kelly Elementary and Harlingen school district’s Dishman Elementary. In order to be nominated by the commissioner, public and private elementary, middle and high schools must demonstrate high performance levels or significant improvements in student academic achievement. This is determined by an analysis of student assessment and student demographic data, according to TEA’s description of the awards. “Founded in 1982, Blue Ribbon Schools is a U.S. Department of Education program that recognizes public and private elementary, middle and high schools where students perform at very high levels or where exemplary progress has been made toward closing achievement gaps among subpopulations while maintaining high achievement levels among all students,” TEA’s news release states. All nominated schools have a population of economically disadvantaged students of 39 percent or higher and must now complete a rigorous application process with the Department of Education. Award winners will be announced in September and recognized at an award ceremony in Washington.